Last evening (21st December 2010) the National General Council, the policy arm of the Progressive Liberal Party, ratified two sitting Members of Parliament, one former parliamentarian and two political new comers to be the party’s standard bearers in the upcoming General Elections. Current Members of Parliament the Hon. Melanie Griffin and the Hon. Glenys Hanna-Martin were reconfirmed for the Yamacraw and Englerston constituencies respectively. Former Blue Hills MP Leslie Miller was ratified for the Blue Hills constituency and political newcomers Mrs. Cleola Hamilton and Dion Smith were ratified for the South Beach and Kennedy constituencies respectively. The Hon. Melanie Sharon Griffin, nee Strachan, was born in Nassau, Bahamas. She received her early education at St Joseph’s Catholic Primary School and her secondary education at St. Augustine’s College, Fox Hill and the Government High School. At the College of The Bahamas she attained an Associate of Arts degree in Social Science and was a founding member of the College of The Bahamas Union of Students (COBUS). A choir director for many years, Melanie holds a Diploma in Applied Church Music from the Bahamas Baptist Institute. A born again Christian, Mrs. Griffin, is also a founding member of Judaea Baptist Church where she is a licensed Minister, serving in several capacities. 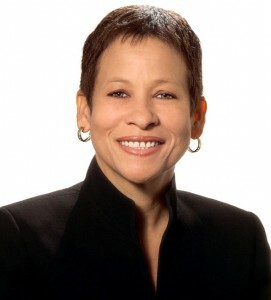 In March 1999, Melanie was appointed to the Senate by the Hon. Perry G. Christie, Party Leader, where she served her God and Country with dignity and honour. She was elected the Member of Parliament for Yamacraw on May 2nd, 2002 and appointed Minister of Social Services and Community Development on May 10th, 2002. In addition to carrying out the mandate of the Government, she has been motivated by the Scriptures to feed the hungry, give water to the thirsty, clothe the naked and visit the sick and imprisoned. An advocate for child and family welfare, the Hon. Melanie S. Griffin, has made a major impact on the social landscape of the Country, particularly through the enactment of three major pieces of legislation – The Residential Care Facilities Act 2004, the Child Protection Act, 2007 and the Domestic Violence (Protection Orders) Act, 2007. Mrs. Griffin has also been a champion for the rights of persons with disabilities and has produced a draft Persons with Disabilities (Equal Opportunities) Bill, 2007 which is expected to be laid in Parliament later this year. Additionally, she was instrumental in the expansion of the Disability Affairs Unit to a Division with its own office and resource centre, as well as the implementation of an allowance for special needs children under the age of 16 years certified disabled. As a member of parliament, Mrs. Griffin has served the community of Yamacraw well. Infrastructural development of roads and parks, the establishment of community associations which foster and promote community spirit and the discipline and development of young people through a community youth and marching band are some of the highlights of her achievements in Yamacraw. She is married to Mr. Leon Griffin and has one daughter, Celine Leonice. Glenys Hanna-Martin was born in Nassau on October 27, 1958 to the Hon. Arthur Dion Hanna and the late Beryl Hanna (nee Church). She received her early education at the St. Anne’s School and Queen’s College in Nassau. Glenys studied at Padworth College, Reading England, York University (BA Specialized Hons), Toronto Canada and the University of Buckingham (LLB, Hons); Inner Temple, England. A former Executive Officer in the Ministry of Education, Mrs. Hanna-Martin was called to the Bar of England & Wales and The Bahamas in 1988. She was elected President of the New Providence Women’s Branch of the PLP in 1998. She is the representative for the Englerston constituency and served in the Christie Cabinet as the Minister of Transportation and Aviation. Mrs. Hanna-Martin was the first female Chairman of a major political party in Bahamian history. An Anglican by denomination, she is married to Leon A. Martin and is the mother of three children. Her interests include reading, walking, yoga and poetry. Making his sixth run as a candidate in the general elections, veteran politician Mr. Leslie O. Miller served as the representative for Blue Hills between 1987 -1992 and again from 2002 to 2007. He served in the last PLP administration as Minister of Trade and Industry and Minister of Agriculture and Marine Resources. 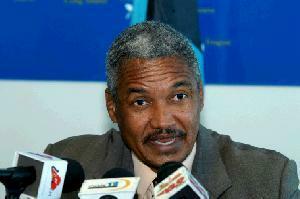 Mr. Miller is a founding member of the Bahamas Light Industries and Development Council in 1983. He also served as the Chairman of BEC, the Town Planning Committee and the New Providence Port Authority. A veteran businessman, Mr. Miller is currently the President of Sunburst Paints and the CEO of Mario’s Bowling and Family Entertainment Palace. Mrs. Hamilton was born in Pirates Well Mayaguana and was the sixth of thirteen children born to Joseph Collie (deceased) and Sarah Collie nee Murphy. An accomplished veteran Registered Nurse and trade unionist, Mrs. Hamilton is also an author, having published a book of poetry entitled “Unfolding to the World”. Additionally, she pursued and obtained a Bachelor of Arts Degree in literature and literary Arts, Diploma in Midwifery, Diploma in Human Resource Management, Certificate in Employment Law, Certificate in Alternative Dispute Resolution, and Masters Degree in Public Administration. 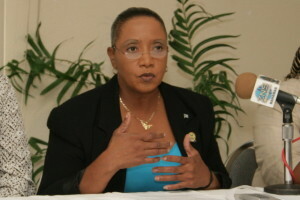 She served and is presently serving on numerous Committees, Council and Boards, including the Board of Directors of the Civil Society, National Health and Safety Council, The Blue Ribbon Commission for National Health Insurance, The Nursing Council of the Bahamas for nine years, and the TRIFOR Council. In 1999 she became president of the Bahamas Nurses Union and labored tirelessly to better the working conditions of nurses throughout the country. In 2005 she became Vice president to the Commonwealth of the Bahamas Trade Union Congress, and was named one of the most outstanding persons in the Bahamas by Jones Communications in 2007. She is married to Arnold A. Hamilton Sr. and they have three children: Dedrick Nathaniel, Arnold Augustine Jr., and Clachara Telia. Local attorney Dion Smith was born on the 18th October 1975 and is the youngest of four children born to Duke and Lillian Smith. 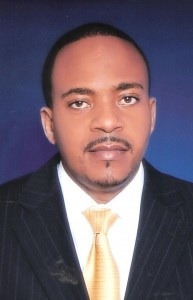 Following his graduation from Saint John’s College (high school) in New Providence in 1992, Mr. Smith continued his education at the Bahamas Baptist Community College and the College of the Bahamas before reading law at the University of Liverpool where he obtained his LLB (honors) in 2000. Mr. Smith was called to the English Bar and the Bahamas Bar in 2001and practices law today at the law chambers of Munroe and Associates. Mr. Smith is married to the former Rose Narine and they have two children, Dion Jr. and Aubrie.